An incumbent senator voted for a massive taxpayer stimulus that just happened to benefit businesses owned by that senator’s immediate family members. That same senator later recommended someone to lead a government agency that is currently stonewalling journalist requests to obtain documents related to that stimulus funding. Some would call that cronyism. 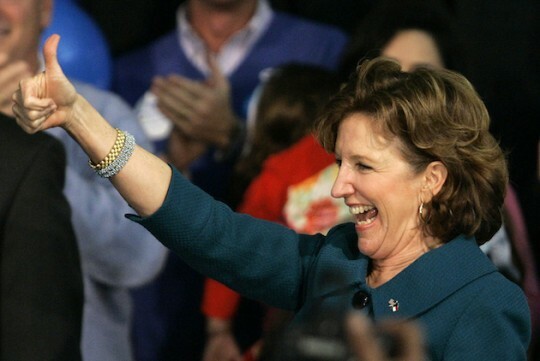 Either way, it looks pretty bad for Senate Kay Hagan (D., N.C.). After first agreeing to allow Carolina Journal to inspect the documents relating to a taxpayer-funded U.S. Department of Agriculture energy grant to a company owned by family members of U.S. Sen. Kay Hagan, the USDA Rural Development office in Raleigh later said the matter was being handled in Washington — implying the USDA’s headquarters in the nation’s capital. On Tuesday, CJ spoke by telephone with Delane Johnson, North Carolina’s rural development public information coordinator, who said she would treat CJ’s request for documents about the $50,000 renewable energy grant as a Freedom of Information Act request. By email, she said agency policy requires USDA to contact the grant recipient, JDC Manufacturing, before complying with the document request. She also indicated that she would have a response to CJ within 10 days. By Wednesday, however, Johnson was much less cooperative. CJ went to the Raleigh office to meet Johnson and ask her additional questions about the process of reviewing the grant file. Upon arrival, CJ was told to take a seat outside Johnson’s office. Another employee went into the office, closed the door, and a few minutes later, informed CJ that Johnson would not be able to speak with him and that the matter was being handled in Washington. The USDA office in Raleigh is headed by Randall Gore, who Hagan recommended for the position just months after she took office in 2009. It probably didn't hurt that Gore had donated money to President Obama’s campaign in 2008 and 2012. Anyway, it's great to see the Obama administration living up to its reputation as "the most transparent administration in history." This entry was posted in Politics and tagged 2014 Election, Cronyism, Democratic Party, Kay Hagan, North Carolina, Senate, Stimulus. Bookmark the permalink.